We love kids! But, we also understand that establishing healthy habits, including brushing, flossing and regular cleanings and checkups, can be difficult. 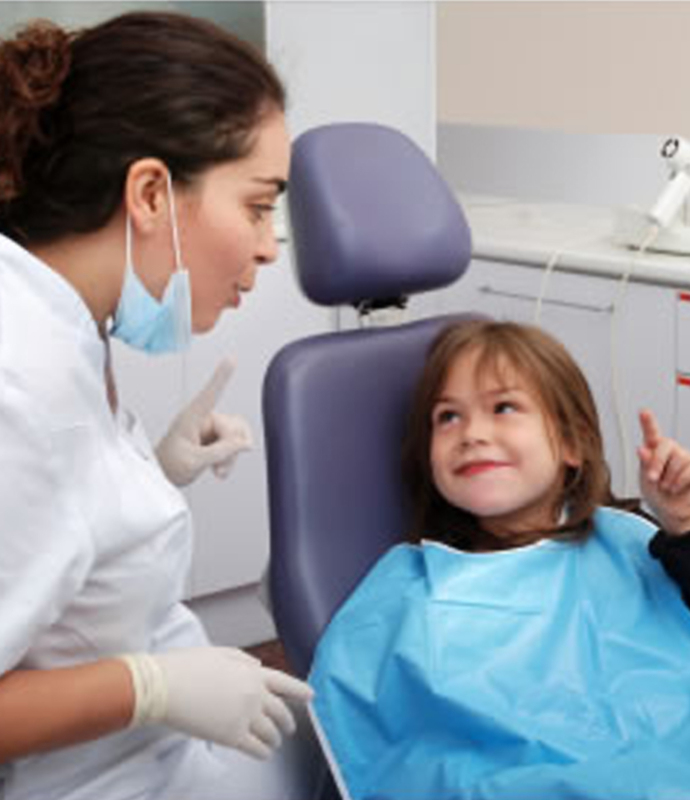 Our team is focused on making your family’s visits to Maple Grove Dental as calm and comfortable as possible, and we will help your children establish an oral care routine that will give them a lifetime of healthy, happy smiles. Your baby’s first visit is a simple visual exam to evaluate your child’s oral health and to determine his/her risk for developing dental disease. As teens grow more independent and have further control of their diet and habits, it is common to see an increase in cavities. When your child is between the ages of 2-5, you should brush your preschooler’s teeth twice a day with fluoride toothpaste. At around age six, your child will begin to lose primary teeth in the front, while also gaining permanent teeth in the front and back.